are you in new york city? 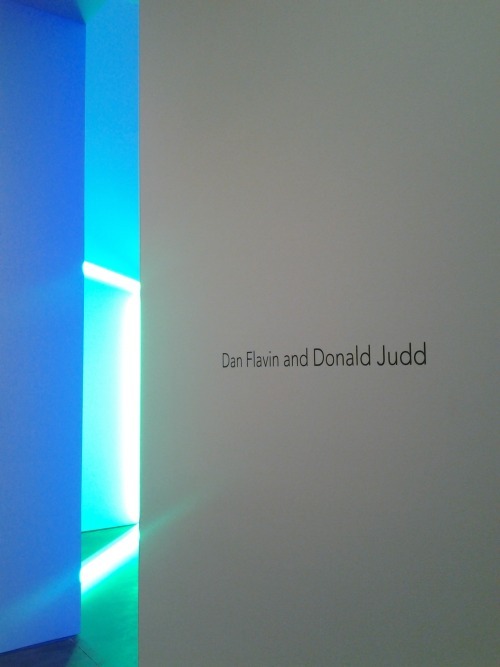 go to the flavin/judd show at david zwirner's new poured concrete building on w 20th st at 11 ave. on the ground floor, pay close attention to the ceiling. don't forget to visit the small but lovely exhibition on the second floor, featuring beautiful and serene steel pieces by john mccracken and fred sandback. as you leave, saturated by the experience of art, try to ignore the clumsily drilled holes with which the handles are mounted onto the carefully constructed doors.